Hamminkeln (Germany), February 26, 2015. Gorilla Electronics introduces at the Mobile World Congress in Barcelona (Hall 6, Stand B40) a World First. Gorilla®-mobile is the first real alarm system for smartphones and tablets. Gorilla®-mobile is pure hardware and requires no apps, no cloud - just plug in and smartphone or tablet are protected. Smartphones and tablets are stolen more often. In most cases, the loss is a disaster, not only because the valuable device is stolen, but also the contact addresses, WhatsApp chats, photos, videos, and other personal data. Protecting smartphones or tablets from theft is also a current topic in Europe. In Germany the police disclosed figures which show a sharp rise in smartphone thefts: In 2009 approximately 102.000 devices were stolen, this number rose to 237.000 in 2013. In the first half of 2014 already 100.630 units were reported stolen. Gorilla®-mobile is an accessory for smartphones and tablets and protects against theft, without the need to install any apps or software. The product offers an unique design and a very simple functionality. Gorilla®-mobile not only creates a real added value for the consumer, also dealers can benefit from the sale of real hardware. 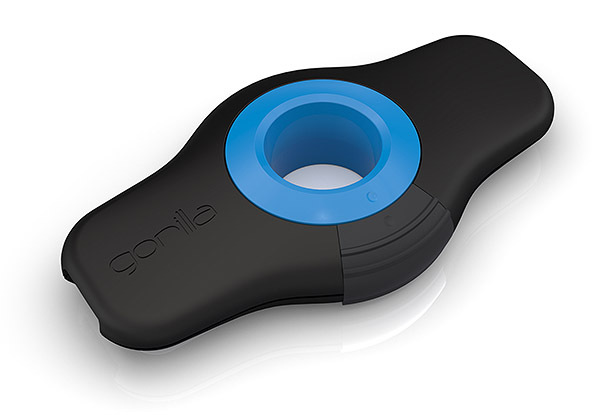 Gorilla Electronics GmbH is a German manufacturer of electronic devices, which solve daily problems with clever inventions a bit different than before. Gorilla®-mobile is available for sale in few weeks, for the price of a quality lock. You find us on Facebook,YouTube,Twitterundwww.gorilla-home.com. Visit us: MWC 2015, Hall 6, Stand B40. On Gorilla Electronics Gorilla®-mobile images can be downloaded.